Unemp loyment is one of the worst things that can happen to any person. Maybe a previously fired employee or career shifters can relate. However, the availability of jobs in today’s labor market is sparse. And it will take some time before millions of unemployed civilians land a job in their field of interest. So what does a jobless individual do during his/her spare time? Go to the shopping mall and waste separation pay on limited edition clothing? Maybe throw a beer bash with friends and celebrate the unemployment crunch? Unemployment is not an excuse. Wasting precious time during a stage of career vulnerability could derail an unemployed individual’s chance of getting a decent paying job. What to Do to Aid Your Unemployment Period? The best solution that an unemployed person could do during free time is to update application tools. 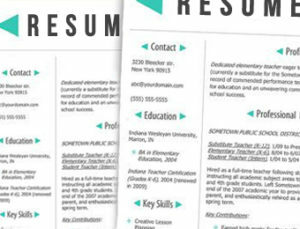 The old, grimy resume stored away in your file cabinet may not be applicable anymore to the company you are applying for. Since you have been away in the labor force for quite some time now, you need to emphasize your employment gap. This is quite hard to do because you will be sacrificing a lot of quality and meat on the application. Hiring managers do like the fact when an employee undresses all the facts stretching to his/her unemployment situation, but it is not a considerable application trait. Asking a professional for help is a good start. Consult a professional resume writer or career coach near your area and open up your unemployment conundrums. During sessions, you could write down all the advice given to you and apply those on the curriculum vitae. What are the do’s and don’ts in today’s application process? If you try to write a resume that breaks all the rules of the modern job application, then your application is as good as done. Never attempt to write curriculum vitae riddled with job application taboos and sub-par content. Study and learn words that are effective in writing your resume.